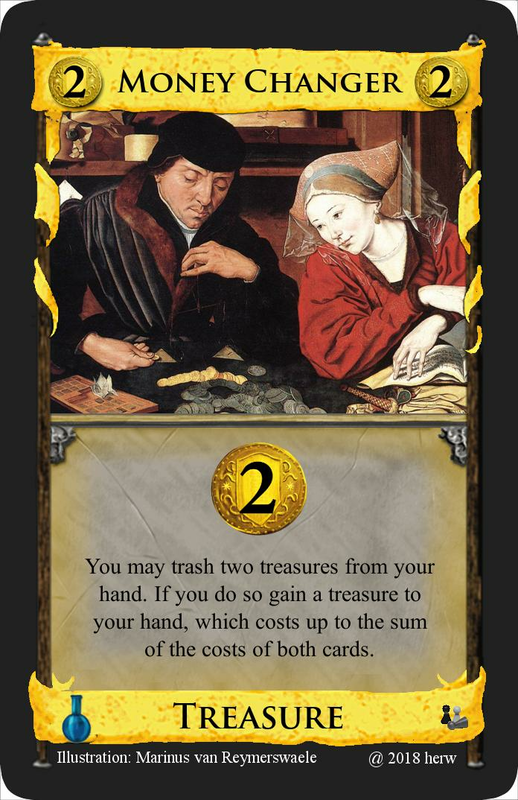 Add these two basic cards to an Alchemy-game. 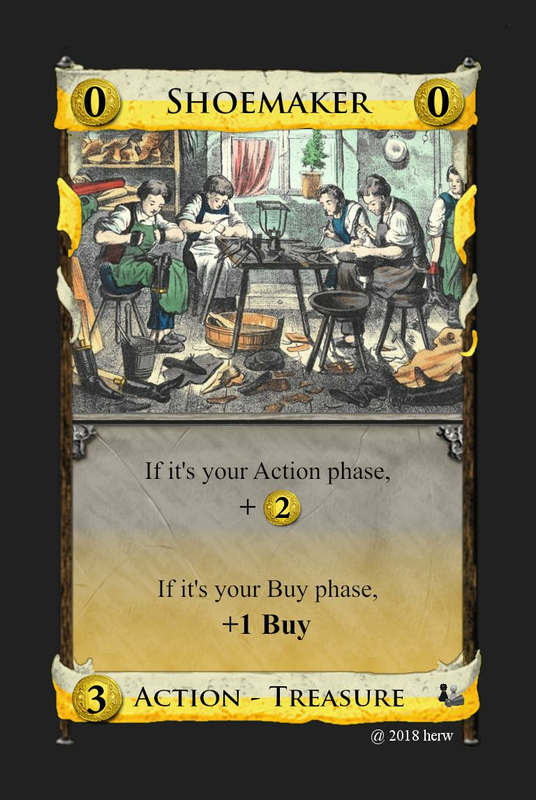 Choose a few Alchemy kingdom cards. 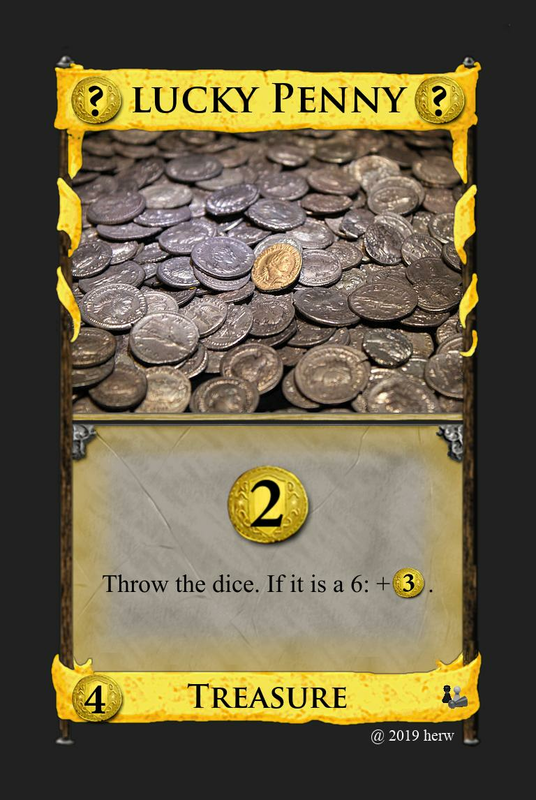 A simple card which helps Big Money strategy. 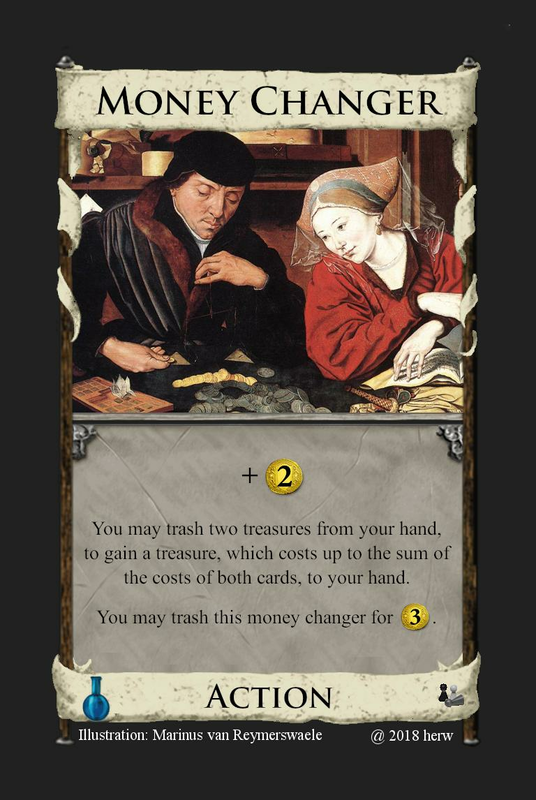 Alchemy needs treasures and cards with potion in costs! a simple Alchemy-card. Thanks to Asper for discussion and tips. 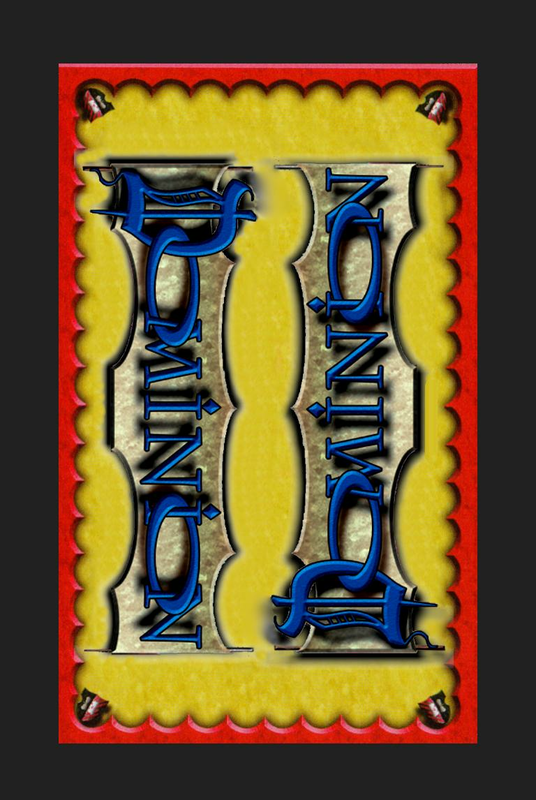 I like to create ALCHEMY-cards. 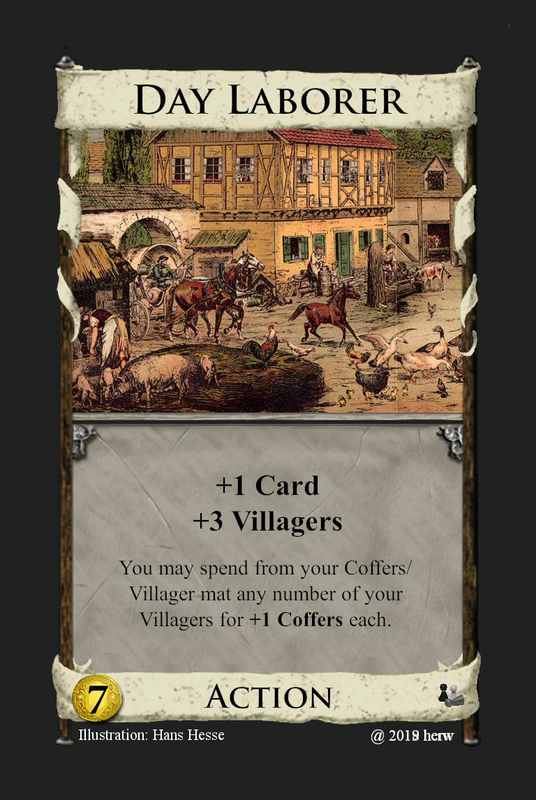 Combining with RENAISSANCE-idea of coffers and villagers it is a little bit more simple. Heya herw I also like alchemy cards. I have a thread with my alchemy cards, you should check it out it might give ya some inspiration. yes i know the thread. I have made five other Alchemy-cards and i am testing them. I will translate to english and publish here, if they are good enough. And I’ve added a new one to it which you may not have seen called dragons hoard. 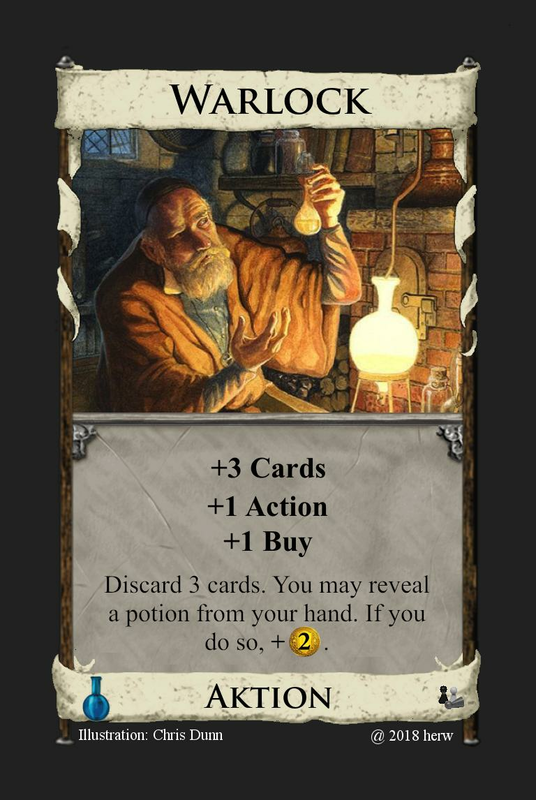 a simple Alchemy-card., hope you like it. Thanks to Asper for discussion and tips. an attack to villager's and coffer's mat. Don't you just always get this? It never hurts as it is at least a cantrip. Seems a bit mindless. In general I belive Attacks should not be cantrips unless you have a really good reason for it. Yeah, this will just end up as an unfun arms race. At the very least, you shouldn't have an attack whose attack part so thoroughly cancels out its on-play part. hm - yes that's a problem. The idea was to have an attack card with very low costs and it's a little bit better than a cantrip. 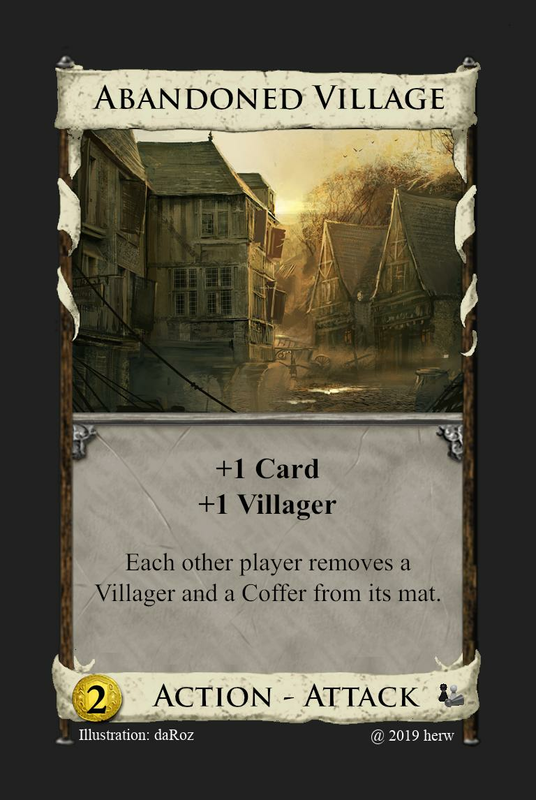 On the other side villagers and coffers are very powerful if you have other cards which add villagers or coffers to your mat. So you think there shouldn't be a bonus +1 villager for the player? 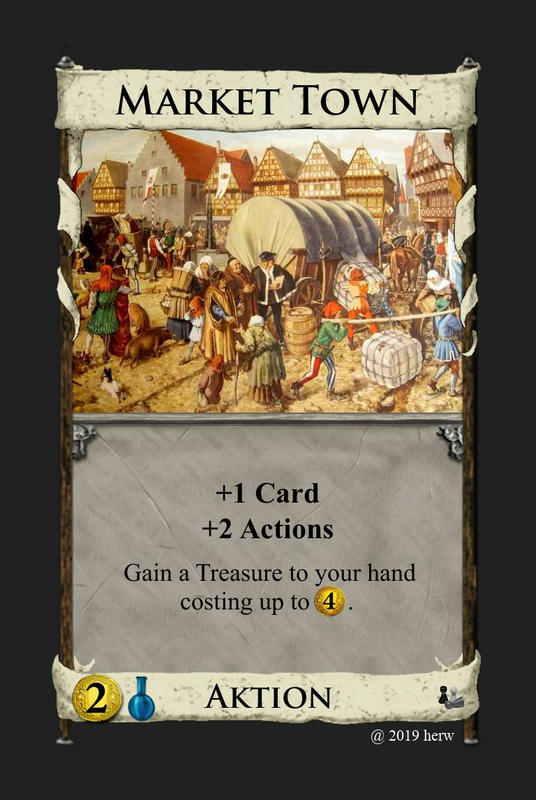 But if there are no other cards which adds villagers or coffers? To be sure, that there are + villagers- and + coffers-cards there should be one. I like to change the deck and keep it small. See "Secret History" of Bandit Camp. Gaining Treasures is not so good, even if you gain into your hand. i have read it, but you can draw potions too (to your hand!). So i hink this is a good idea. If you have Market Town, you already have a Potion. The instances where you'd want a second are very limited. If you have only one potion and your deck is growing you need more potions. 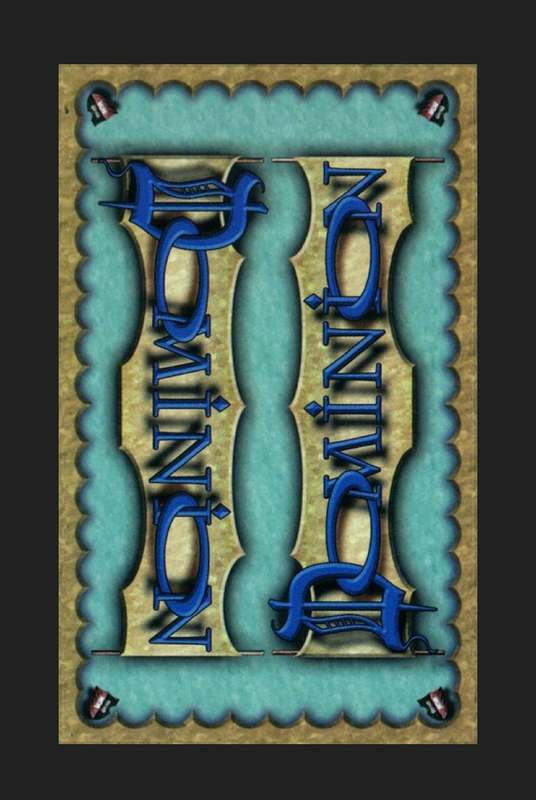 Remember that Donald recommend three Alchemy-cards in Dominion with Alchemy. So it's sometimes more useful to gain a potion. And there are still some more treasures up to 4. I dunno, gaining a Silver to your hand makes this behave like a Grand Market that exchanged its Buy for an Action the turn you play it... That's pretty huge. Of course your deck gets filled with Silvers, but you're complaining on a rather high level there, I think. Even in a Silver-flooded deck, this still helps you pick up copies of itself. My main gripe would be that Silver gaining and +Actions aren't exactly going smoothly together. Perhaps you could say this balances the card, but I think that if your concept was to have a Village with a good, but village-unfriendlysecond bonus, you might want to focus on that and drop the potion. But that's just me. Please correct the text, because i am a non native speaker. Each other player gains a Copper. 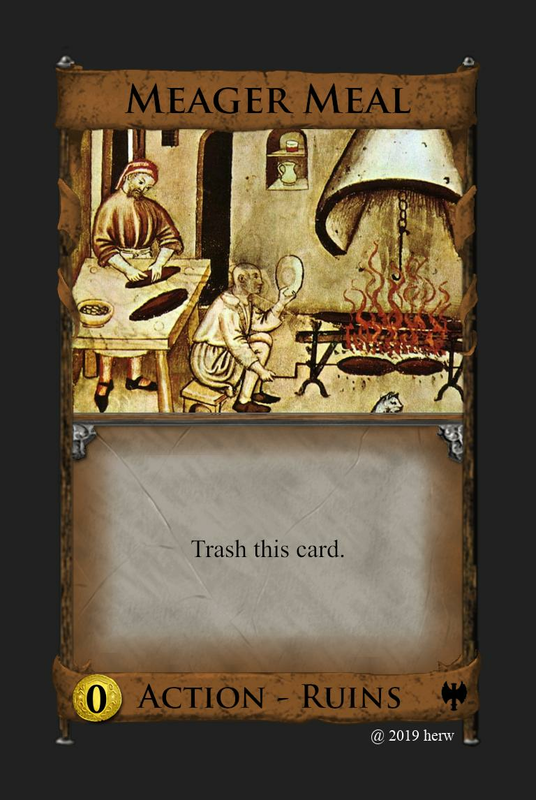 You may trash a card from your hand, for +1 Card and +1 Action. When you draw a card during another player's turn, you may discard this and any number of other cards from your hand, then draw that many. I removed the non-action part, is there a reason to limit it to discarding "non-action cards"? You will almost never want to discard action cards anyway; so it would almost always be used the same way anyway without that extra wording. It only really makes a difference in games with Ruins. I also removed the "have to draw" part, because I think that causes confusion about when that applies... if your opponent plays Vault, and you discard 2 cards, you then have to draw a card. But you also could have chosen not to discard 2 cards, so does "have to draw" apply here? But I think that reaction wording actually has issues... you discard all the cards at the same time, and you don't have to reveal Counter Magic if it's not the one you put on top of your discard. So for accountability, you would need some really awkward wording... "when you draw a card on another player's turn, you may discard this from your hand. If you do, discard any number of cards, then draw that many, then +1 card." I don't understand the point of the reaction as a whole though, I think you should just leave it off. It is very rare that you draw a card during another player's turn; so this will do nothing in the vast majority of games. There's only a very small handful of cards that make this happen. And even when it does happen, I think you would rather have this card in your hand for its main ability than you would want to discard it for a Cellar effect. *Edit* I think there are only a total of 7 cards in Dominion that could cause this reaction to be used... Council Room, Legionary, Lost City, Governor, Margrave, Minion, and Soothsayer. For the main effect... as a general rule, pure Copper junking like this is bad, because there are a huge number of Copper cards, and that number also differs per game, based on both player count, and whether or not players have chosen to combine treasures from 2 base sets (which the rules say you can do, and should do for higher player-counts). It seems like this should just give Curses instead... I'm not even sure if that would be stronger or weaker, due to the fact that Curses will run out. The card is also super powerful. Of course Potion-costing cards generally are... but this is way over powered. Look at how strong Masquerade is, just due to having +2 cards, trash a card. This is +3 cards, +1 action, trash a card. That's insane. AND it is a junking attack on top of that. Compare this to Familiar... +1 card, +1 action, junk opponents. This is Familiar, with an extra +2 cards and trashing on top! arrgghh, i ment „gain a card”, my fault. thanks for wording, ideas and comment, will wait until there are some other comments. why is Aktion spelled like that on warlock? 1. It should be each other player, not any. 2. 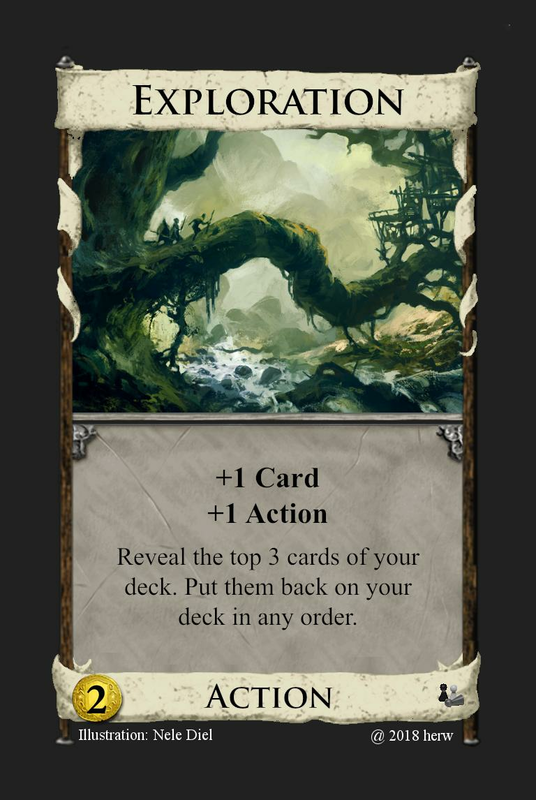 Wording for the bottom: "When you gain a card during another player's turn, you may reveal this to discard it and any number of non-Action cards from your hand, then draw an equal number of cards." 3. I agree with GendoIkari that it's far too strong for $3P, and for all the same reasons. I'd go so far as to say it should cost the same as Possession, $6P. Pretty sweet with Capitalism or Feodum, otherwise fairly pointless. 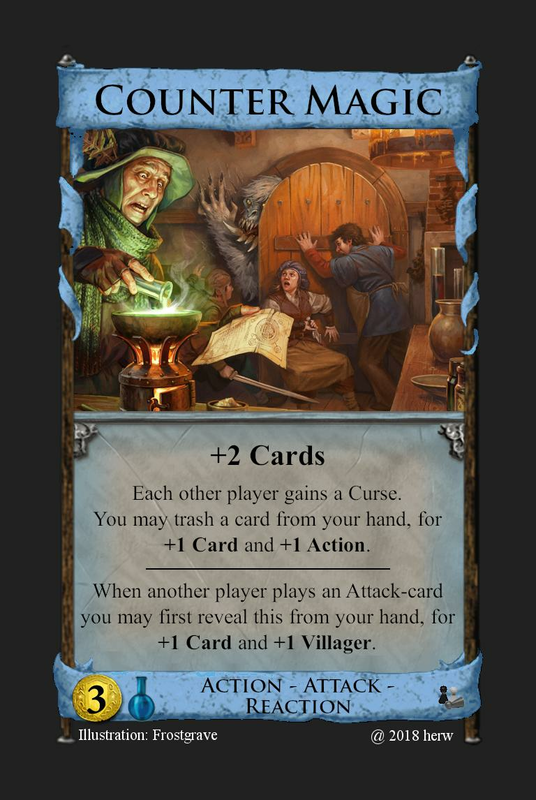 It is a risc to create a new basic card especially with potion in cost. 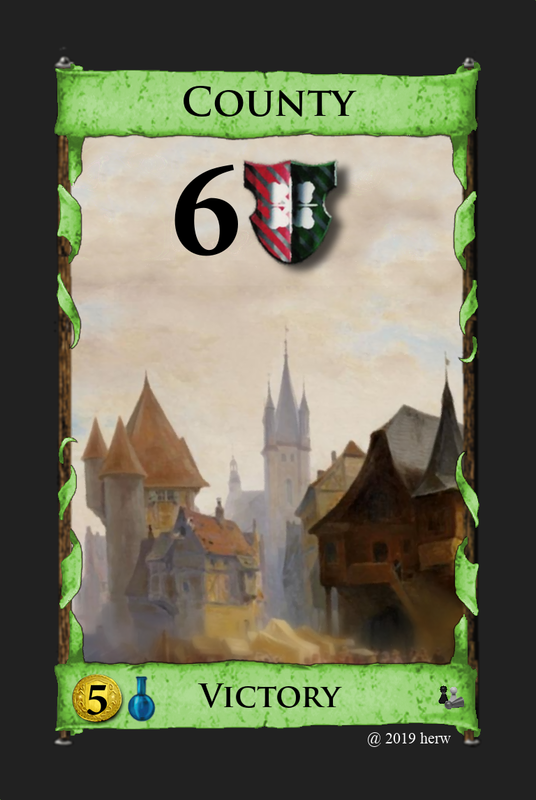 The principality needs only a silver and a potion to buy, a duchy more. But you have to have a potion on hand, which means you have to buy one and you don't get it often if you only buy one. So i decided to give more victory points. A county with same victory points is like a province and a counter part so it is logic to give the same 6 victory points. If you lag with provinces especially at the end of the game, you have the chance to get 6 victory points without decreasing the province pile. It is a good decision to have 3 treasure difference to principals as usual (dutch vs province). 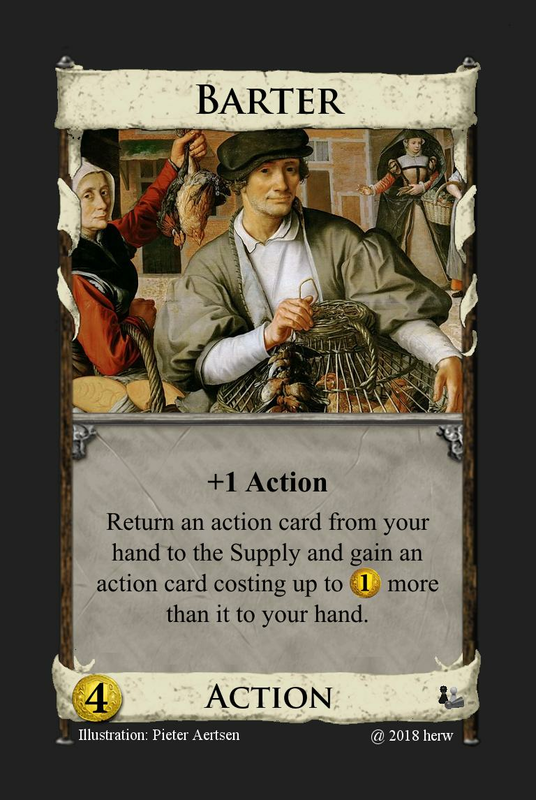 So it is a good idea to add these basic cards to an Alchemy game without removing duchies and provinces. I think you should choose a few Alchemy kingdom cards too. I feel like there should be a limit to it's scaling. Alchemy simply has too much Potion costing chainable cards. Imagine deck full of Apothecary, Scrying Pool, University, Alchemist and Familiar. Maybe different named card in play with in its cost? yes, but in case Antimony is the only card with potion in its cost? So then there has to be a little bonus f.i. +1 buy? Then it is a woodcutter as treasure played. We can discuss endless about it. I will print this version with my new basic victory cards and others. So i will see. 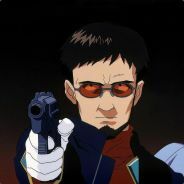 BTW why aren't you active in German Dominion Forum (non native speaker?). It reminds me a lot of the version of Fool's Gold that Donald described in his secret history of Hinterlands. For the original version, I felt it was okay, if perhaps a bit boring. 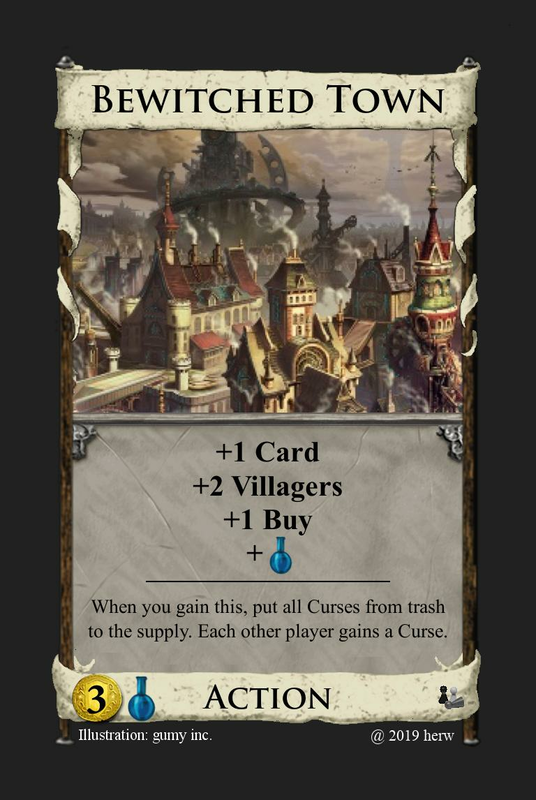 Making it count only differently named cards will make it basically useless in most games it's in. Decided one forum is enough for me to start and english is more universal. But sometimes, I'm also reading in the german forum. Glad I could help a little. But my remarks are just my personal opinion lacking real experience in designing cards. i will try both versions. There should be a specific number fo villagers to exchange for coffers. 1 villager to 1 coffer, 2 villagers to 2 Coffers or 3 Villagers to 3 coffers. I don't like too much text. I think it is clear. perhaps i should limit to +$2 or +$3? 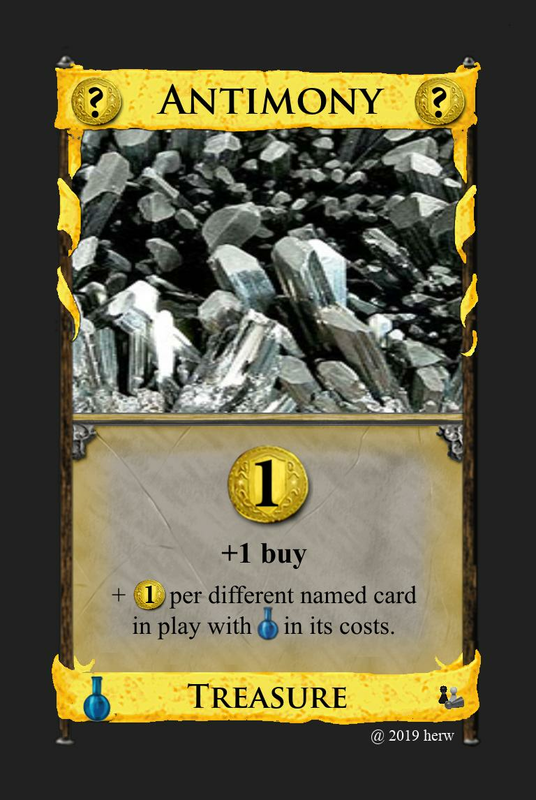 Antimony: "+ 1$ per card you have in play that has P in its cost." 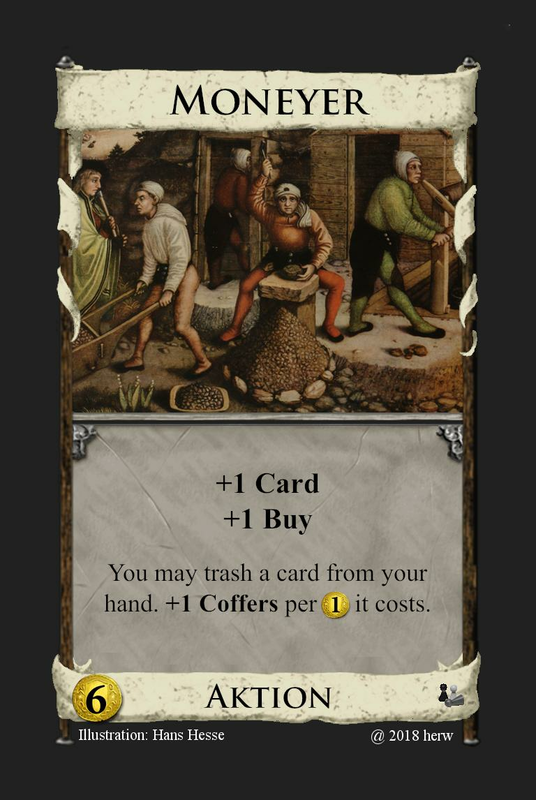 Day Laborer: +1 Card and +3 Villagers should both be capitalized. "At the start of your Buy phase, you may call this, to spend any number of your Villagers for +1 Coffer each." 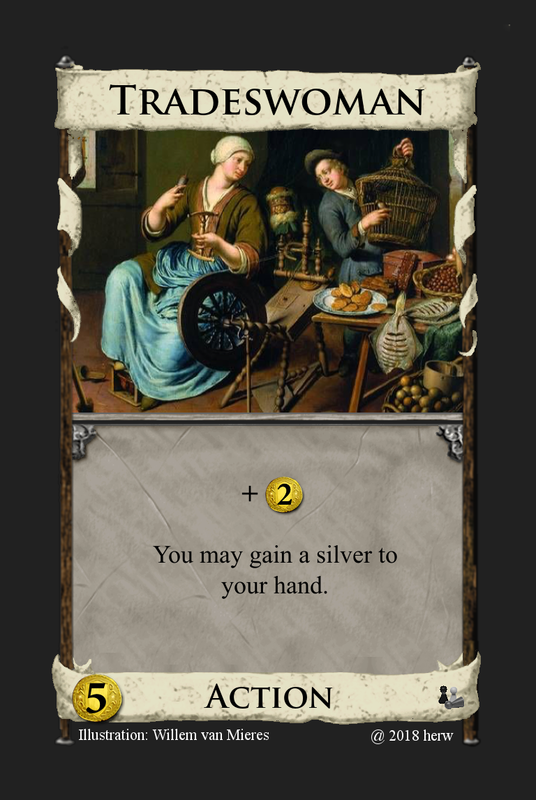 The word "Silver" on Tradeswoman should also be capitalized. rolling a dice: so the probability is 1/6 per lucky penny you play to get +$3. It is only luck. And yes revealing and discarding is in the sense of a DOMINION-routine. The probability of revealing, discarding and getting no duplicates (Councillor) changes and increases to the end game (interesting). But 5 cards and no duplicates? The probabiilty is low in the endgame too. Rolling a dice has constant probability. BTW Lucky Penny is more a joke when playing with my grandson. Perhaps i am using a „normal” serious version of Councillor and the other for lucky days . I like the golden penny at the picture. Honestly, I'm pretty sure that in an engine, the chance is higher than 1/6. At least speaking from my testing experience with Sawmill (my thread). I guess it makes a big difference that Sawmill gains cards, though. Anyhow I have managed to get 6 with that card, too. 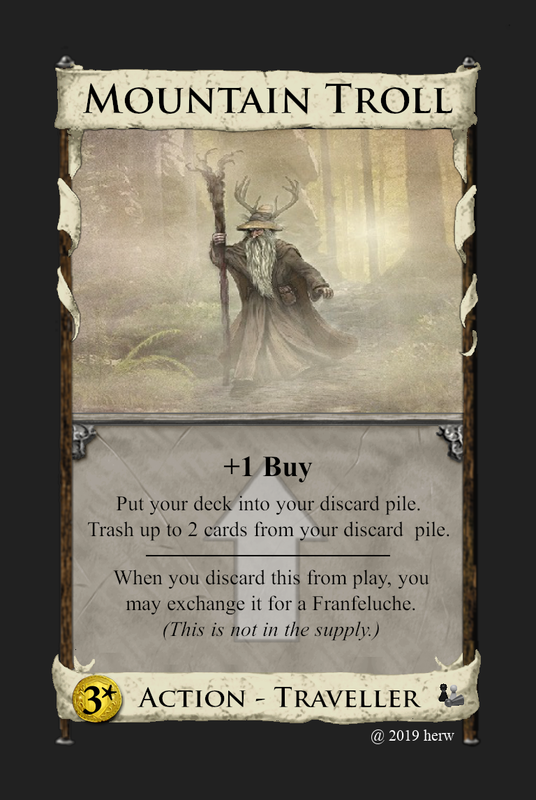 Edit: Also it should be noted that the discarding speeds up your deck cycling, meaning you will see your new cards sooner (or miss them, I guess). But generally speaking, that's good for you. I mean the chance, that you play lucky penny and throw the cube. This is a chance of 1/6 to get $5 instead of $2. I think you meant the chance when revealing 5 different cards in an engine? Hm i don't have much experiences with engines. F.i. 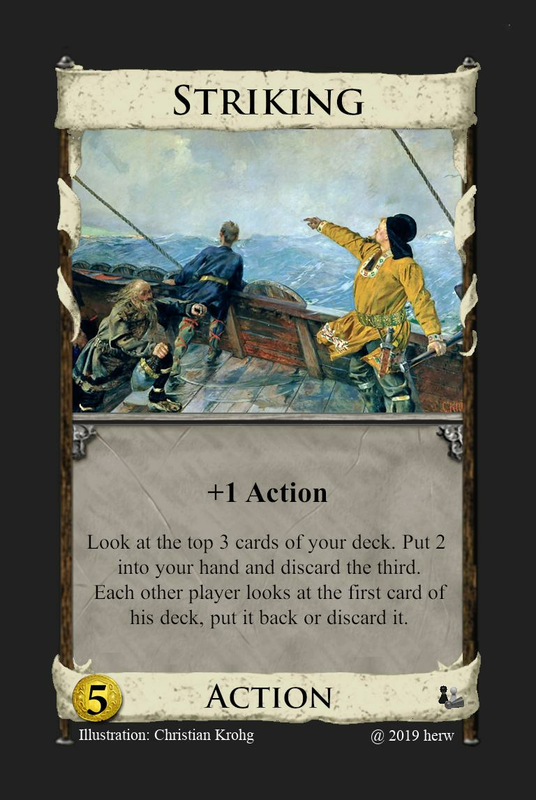 a simple engine have mostly three different action cards (+ cards, +2 actions, +$), mostly not much treasure. If there are some different cantrips, ok seems to be a good chance. I think i will test both versions and will report. Indeed are revealing and discarding a nice additional feature although you get only $2. Yes, the more i think about it the more i like it. I think i call it Lucky Thaler (german: Glücksthaler). I like the old (german) spelling Thaler. Exchanging Villagers to Coffers is a cool idea, that I haven't seen before! But wouldn't you always call this and exchange at least one villager to keep the card in your deck for the next shuffle? I don't see the point of leaving it on your tavern mat. I had assumed it was 1 for 1, but I couldn't tell from the wording if you could choose to exchange any number of them, or if you had to turn all of your villagers into coffers. They would basically be Laboratories then. It's not my main issue, though. 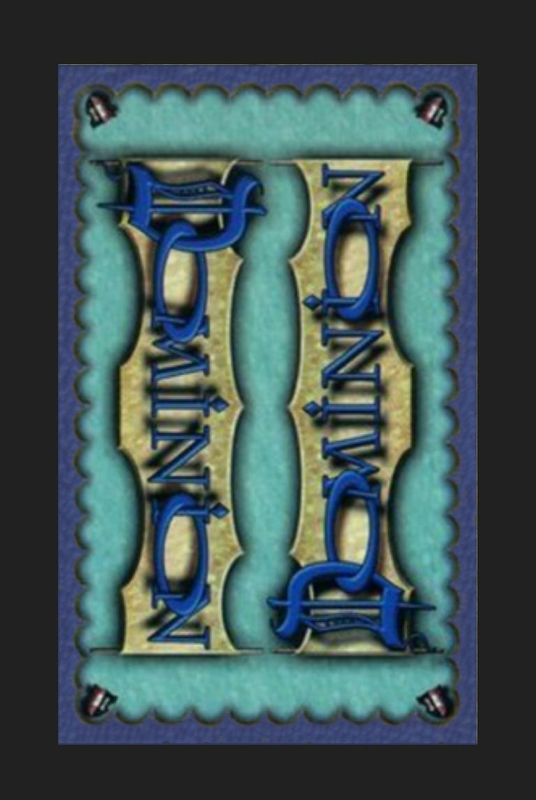 My main issue is that with a sufficiently thin deck, you can gain infinite Villagers with this. As a matter of fact, this would be the case even if the card only drew one card. I will see, which ideas Donald will have, when he tries to create a second version of Alchemy; if he will ever do. In the meantime i am experimenting with my suggestions. So you can only react with Counter Magic once per turn? 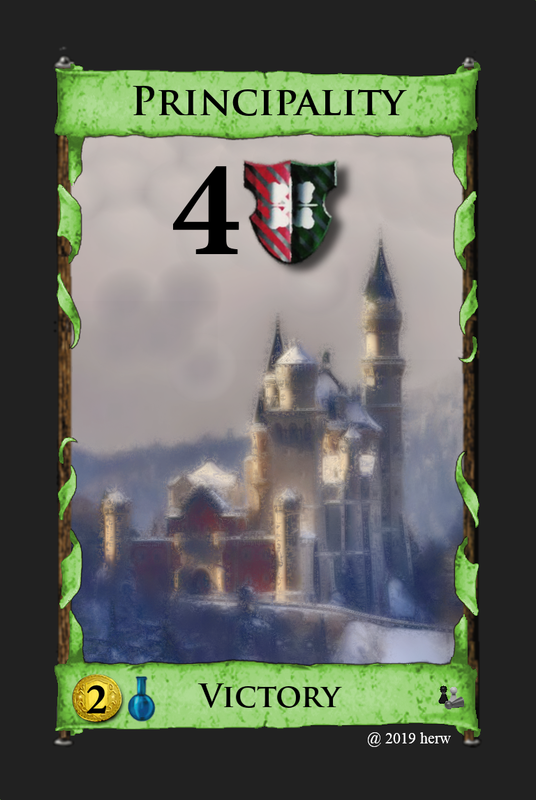 When another player plays an Attack card, you may first play this from your hand for +1 Card. This counters Sea Hag, Militia and some other attacks successfully. 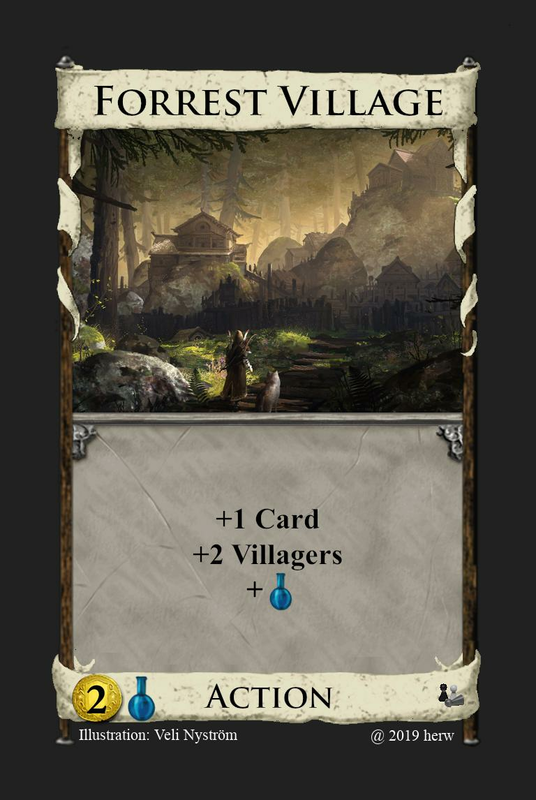 I like this version and the Villagers buff is definitely good enough to make the card viable given that +1 Card +2 Villagers is most likely a $5. first an overview. There is a new mecahnism. The last Card (Dryads) is a Traveller too. When playing it you have to exchange it atonce to another Traveller with lower costs, which means you jump back. You get the other Traveller to your hand. So you can play it in your actual turn too. The trick is to choose the right Traveller depending on actual situation. If there is another Traveler's line you can change to it too. 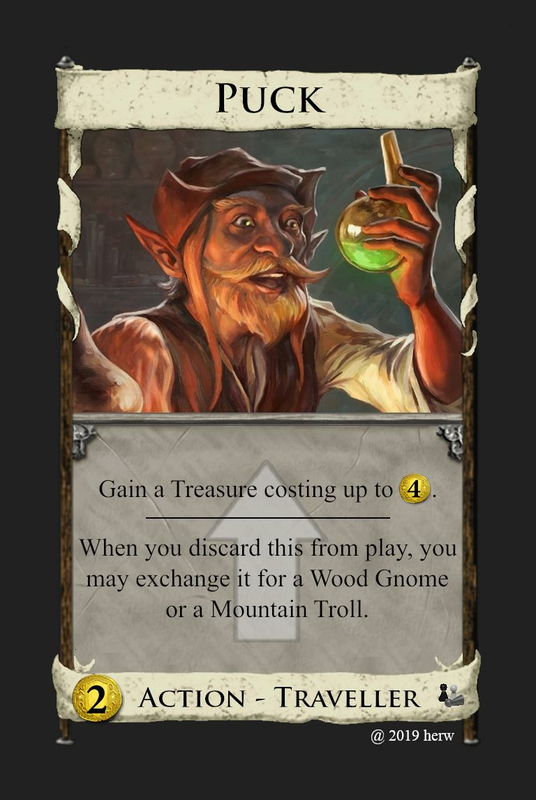 Another new thing is that you can choose from the lowest Traveller (Puck) to Wood Gnome or Mountain Troll. You find a very long discussion here. First it was planed as an Alchemist's line (Puck: Gain a potion) but then i had the idea with mechanism of the Dryads. So here are the Mythical Creatures. Franfeluche neefs more support, but Puck, Wood Gnome and Mountain Troll are all terminal. I also don't know if you really want to exchange Melusine to Dryads. Exchange this for a Traveller costing less, putting it in your hand. Needless to say, this is terribly weak in comparison. arggh, yes forgot to translate and lost it. I have to change Melusine too. have changed in last post too. I see you made Franfeluche's VP conditional. I don't think it needs that. Sure it's strictly better than Monument once in your deck, but it's harder to get than Monument, too. Same for Wood Gnome and Smithy. I wrote this in the German forums already, but Melusine is too strong imo. 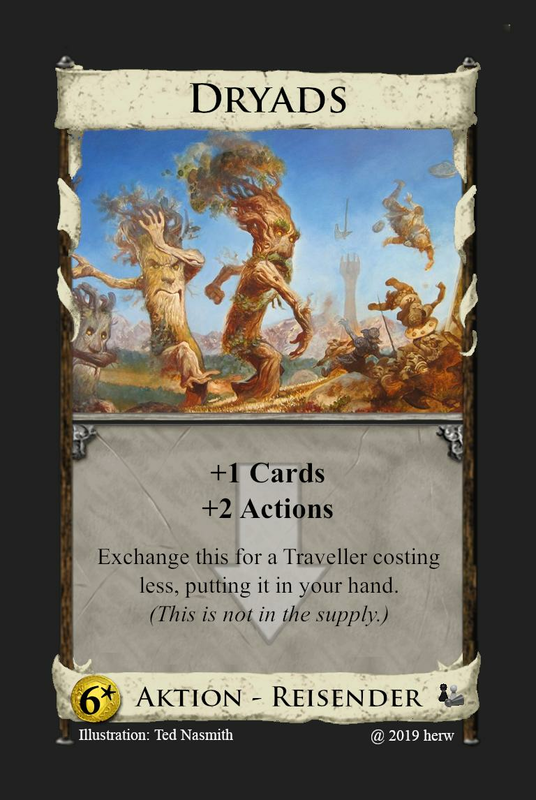 If your plan is to make exchanging Dryads for a different previous Travellor a decision based on the situation, then I think this takes away that decision to some extend. 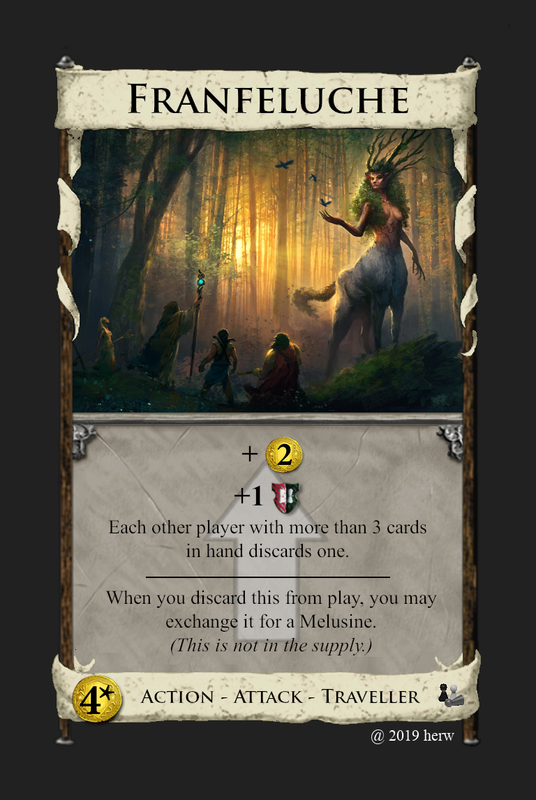 Especially as you can exchange Melusine for Dryads ech time to get more out of it next turn. f.i. 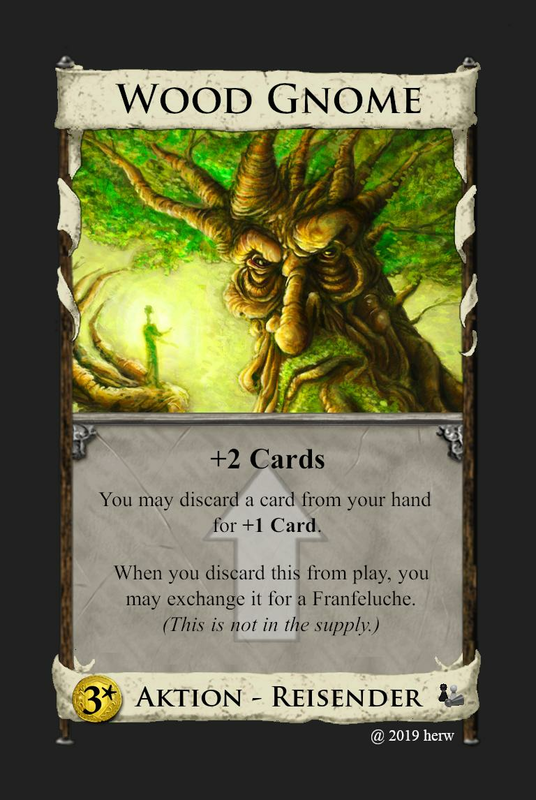 when you play Dryads and exchange to Wood Gnome you get overall +1 Card +1 Action +2 (+1) Cards. Or when you play Dryads and exchange to Melusine you get a card with +1 Card +1 Action +2 Coffers and you can exchange at the end of your turn again to Dryads and so on. Did Melusine just change? didn't it used to be a cantrip? 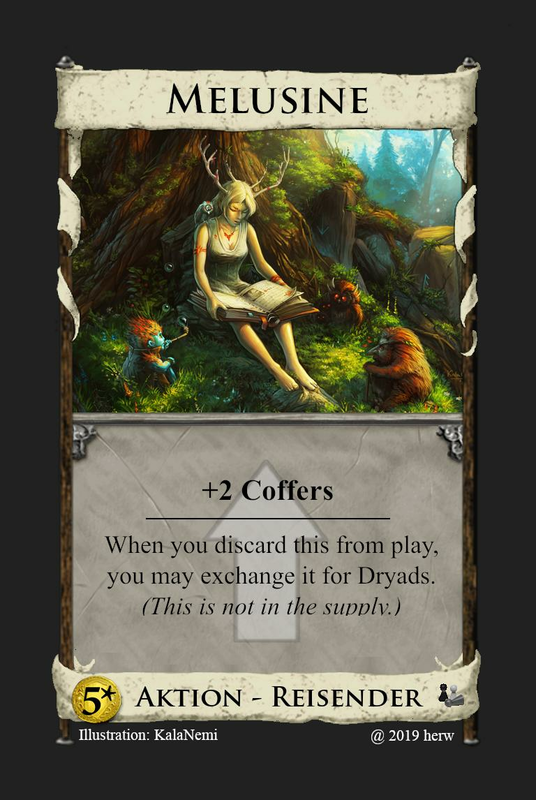 If it would be a cantrip too and you play Dryads, exchange at once to Melusine, you would get overall +2 Cards +2 Actions +2 Coffers (!). So Melusine gives you only +2 Coffers but in combination with Dryads it is powerful enough: +1 Card +1 Action +2 Coffers. 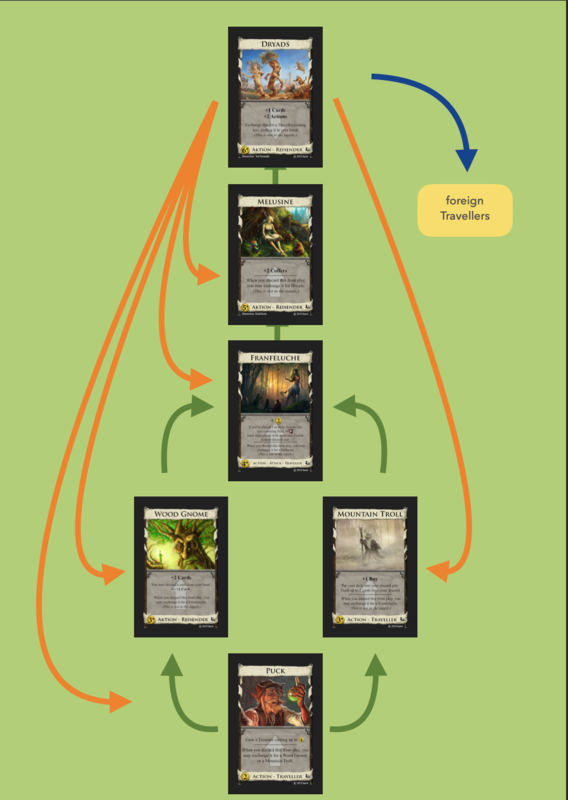 But look to other combinations of Dryads + Traveller. Whats the gold backside for? Just 2 Coffers is too weak again. That's worse than Butcher. I think it would be okay at +1 Card, +1 Action, +2$. +1 Action, +2 Coffers would also be kinda weak, I think.